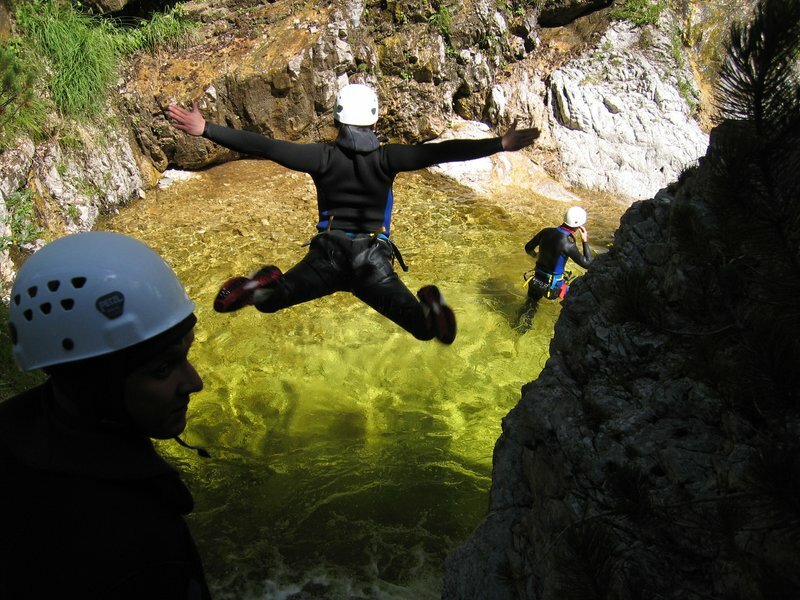 Canyoning Slovenia - Through the centuries our rivers and streams excavated narrow canyons that are famous for its natural beauties. Inside the gorge you can find emerald green river pools and rarely seen waterfalls. With Adventure center Nomad 2000 you will take a ride through the hidden deep canyons of Bohinj and Bovec, travelling from the prehistoric rise of the Alps to the existence of the the Triglav National Park. 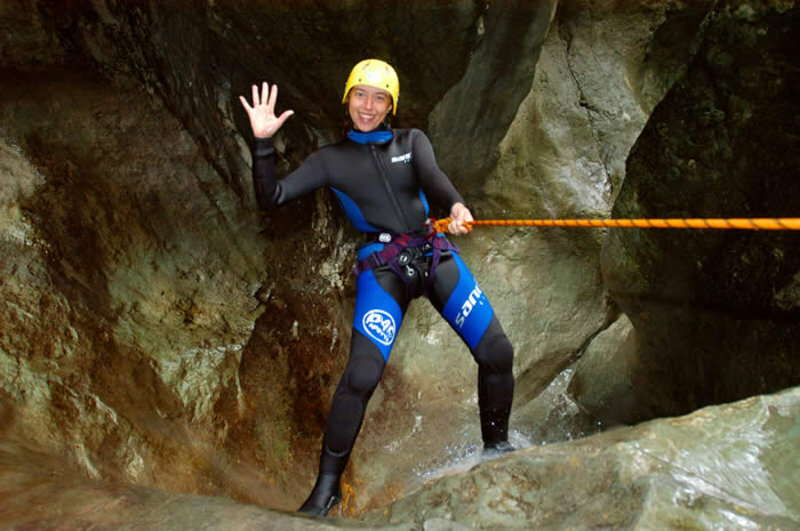 Canyoning includes swimming, jumping into the river pools and abseiling. We will choose the right neoprene wetsuit, neoprene shoes and life jacket. A van will take us to the starting point and back. We recommend you to take with you a swimmsuit, a towel and an extra T-shirt. On your request we can organize additional transfers on the locations, guided sightseeing, lunch or dinner. At the end of your adventure we can arrange for you a nice picnic. If you are planning to stay with us several days, we will be more than happy to help you with accommodation. Apart from Mostnica a use of rope is needed on individual rock jumps in the Jerečice gorge. Bold descending on waterfalls will be the crème de la crème even for more adventurous ones. Already the name indicates (Grmečica - thunder) that Grmečica is the boldest challenge of them all. 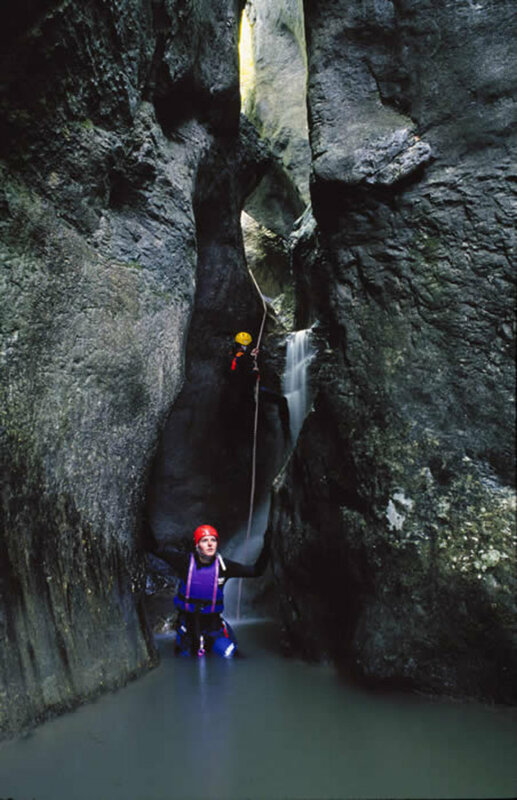 Canyoneering in Grmečica gorge offers a shorter and a longer version as well. As the gorge requires a lot of skill it is recommended to experienced and fit participants. 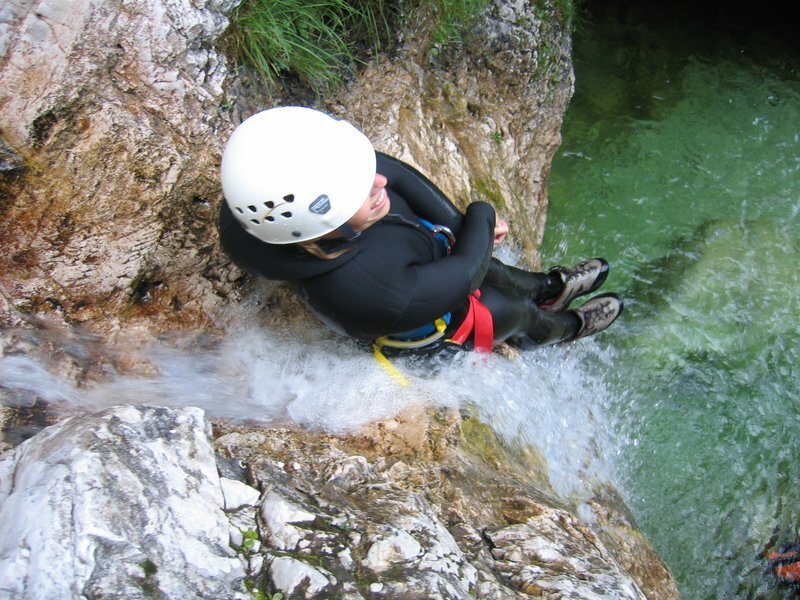 Canyoning adventure Bovec – Fratrica in Slovenia is around 10 km from Bovec, on the way to the border crossing of Predil and in the rock wall of Loška stena. For canyon Fratrica we recommend some knowledge of abseiling technique because of three advanced descents. We hike through a bouldergarden towards the lower Predelnica. Early this century a massive mudslide rolled down from Mangart painting this secluded section grey. 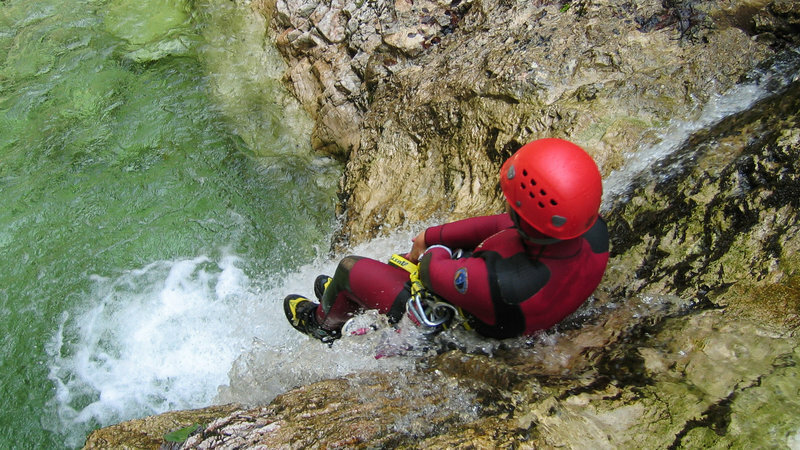 Occasionally a freefall feature, here we tackle many wet and fun rappels. Grand Finale is a 40 meter waterfall and we hike through the gorge down to the village of Log Pod Mangertom. Have you travelled the other canyons? Flowing down from the Southern Kanin range the steepest canyon we visit flows into the Uccea creek. The approach is gorgeous and strenuous. Today we spare our ankles and knees, no jumps.